You may wonder about access to purchased goods during your Mexico trip. While the country is famous for open-air markets and tourist goods, it’s more common items like toothpaste and cereal that can leave you guessing. If you will be traveling for a few weeks in the country, you may not be able to carry sufficient supplies for the duration of your trip. In addition to longer-term Mexico car insurance with MexicanInsuranceStore.com for the period, you will want to plan for your shopping so that you can make the most of supplies when they are available. You can handle your Mexican car insurance policy coverage in advance, but you don’t need to stock all of your supplies before you go. You must have Mexico car insurance with MexicanInsuranceStore.com or the equivalent to drive on any highway in Mexico. 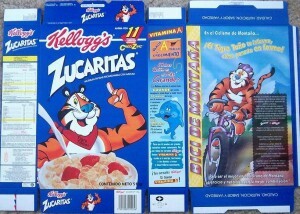 Many familiar brands are also marketed in Mexico. For example, you will recognize cereal brands and characters easily, and the products are just as great with foreign labeling. You will also find unfamiliar brands on the shelves of a Mexican grocer. Try some local options like Tres Minutos, a delicious three-grain hot cereal that is similar to oatmeal. For a unique experience, pick up a box of Gelatina Pronto, a fruity gelatin that sets up without refrigeration. Canned and boxed milk products are excellent for use in coffee or hot cereals, and you will also find plenty of fresh fruits, vegetables and dairy products. In larger communities, you will find chain markets like Calimax providing a large selection of such goods. You may even want to check out Costco facilities in Tijuana or Ensenada. As you move into rural areas, you will find that selections are more restricted. Smaller grocers often stock up by visiting big-city markets. Pricing may be higher in these shops as a result. Corner tiendas are much more expensive, but they specialize in carrying small sizes of common products needed to tide you over until you can visit a big store. Be a little more selective as you buy meat, deli or dairy products as spoilage can happen when handling is poor. Mexican car insurance policy coverage is a legal requirement for foreigners driving in Mexico. On a trip exceeding three weeks, you will want to select longer-term Mexico car insurance with MexicanInsuranceStore.com to ensure that you get the best value without the risk of a policy lapse. Our team is available to answer questions or assist with your Mexican car insurance policy coverage selection as needed. Mexico car insurance with MexicanInsuranceStore.com comes with FREE Roadside Assistance throughout Mexico. It’s better to purchase spices and other variety of supplies from Mexico at their open air markets, purchasing material in bulk and in much low price, keeping in my mind getting your vehicle insured from Mexican insurance store or else you’ll be charged with any sort of illegal activity. Applying long term coverage as per planned for your visit to Mexico is essential as it covers almost all the basic details and gives you full leverage. Mexican insurance is the best assisting and helping your relative needs. Previous post: Mexican Insurance Policy Lessons from Bieber?